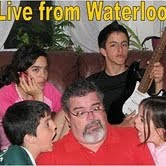 Live from Waterloo: WW#179 – Best fries in the world? WW#179 – Best fries in the world? More on this, tomorrow! – Más sobre el tema, mañana! I don't know, are they? The fries at the bowling alley were great until they changed them. We call them chips here in the UK, but I love them all the same! Not quite my cup of tea. Happy WW! Looks good enough to eat right now! That made me hungry. Happy WW! Just add salt -- catsup optional for me! I like the composition Gabriel. They do look good and I love some good fries! Best ones I've had lately were from Five Guys Burgers & Fries. Yum! They look plenty good to me! They look like great fries. Home made fresh not frozen.